Spacious attic living room with wood stove, Flat 42 inches satellite TV, cherry wooden floors, south side center view balcony, kitchenette with oven and dish washer, 1 double room, 1 small room with bunk bed and balcony, brand new bath room with big shower, possibility of 2 sleeping places on our comfortable extensible couch in the living room. 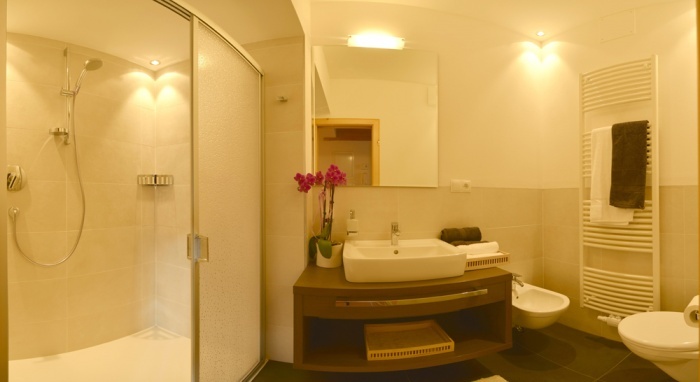 Comfortable apartment with 2 double rooms, living room with kitchenette, Flat 42 inches satellite TV, balcony with garden view, 2 additional sleeping places on the extensible couch in the living room and bathroom with hair dryer and shower. 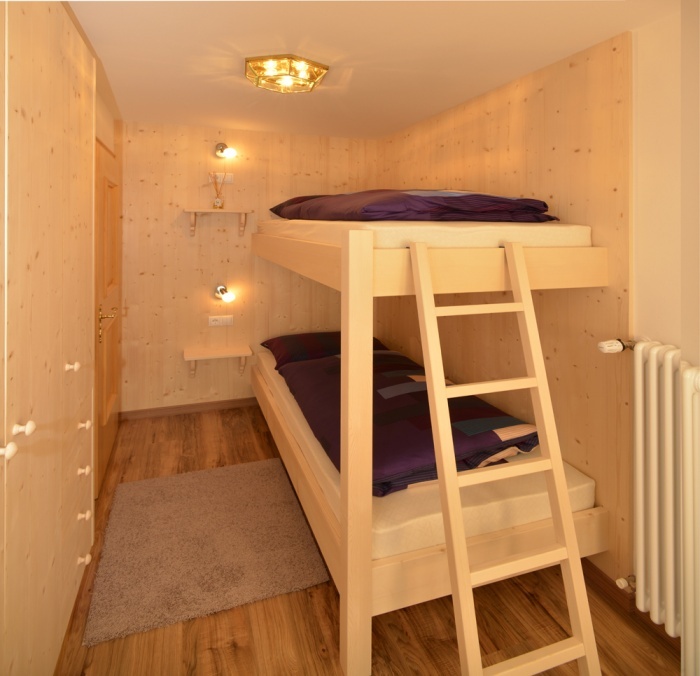 Included services: Energy, heating, taxes, 1 bed linen and towels set per person, ski deposit with boot heater, 1 parking place for every apartment and final cleaning. 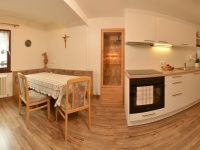 On request and charged: Baby cots, pets are on request, wood briquettes for the stove, laundry service without ironing, additional changing of bed linen and towels, WI FI, additional parking places nearby, shopping service for the arrival day. (Send us the shopping list and we will provide the products in your apartment at the arrival). 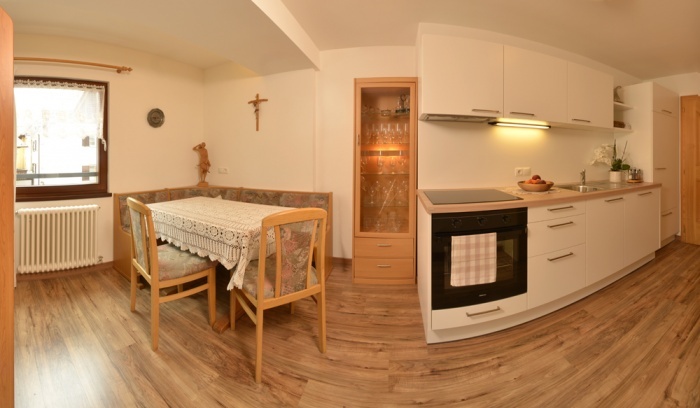 Sitting coner "attico Rezia "
Double room - Living room "Giardino"
Welcome to the picturescue centre of Ortisei! 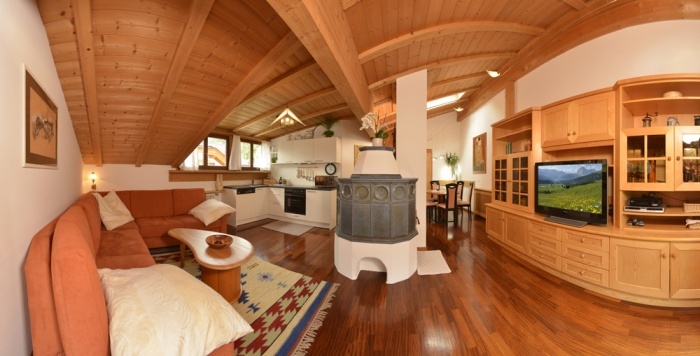 From our very central apartments you will reach all the facilities and lifts of Ortisei like Alpe di Siusi, Rasciesa, Seceda connected with the whole Sellaronda without using your car! 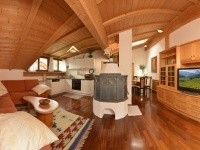 You will enjoy all services of the beautiful Val Gardena comfortably walking.